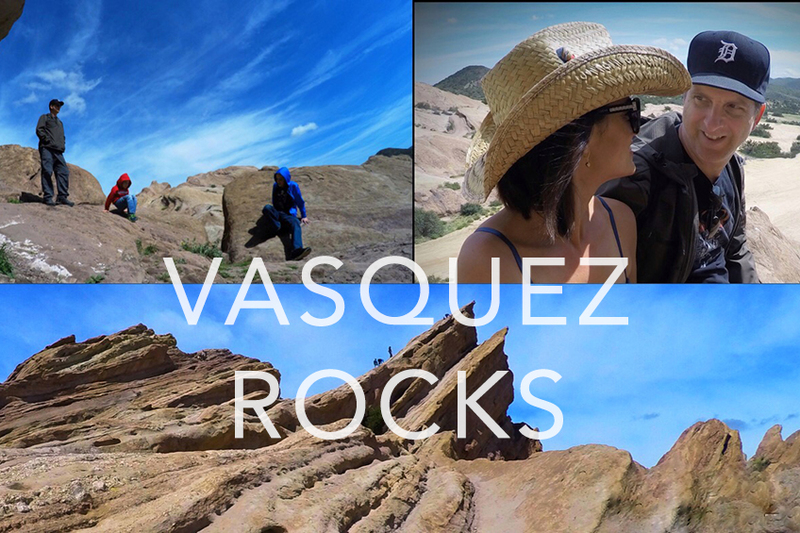 Guided hiking tour of Vasquez Rocks includes movie history, natural history, Old West history, and living wildlife. 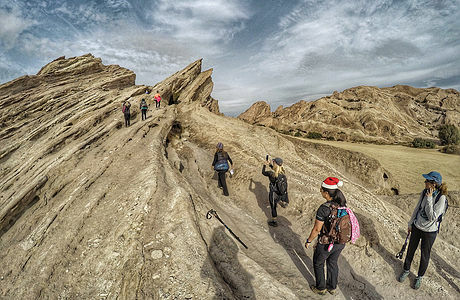 The 2600-mile Pacific Crest Trail from Mexico to Canada passes through Vasquez Rocks and you will hike that too! 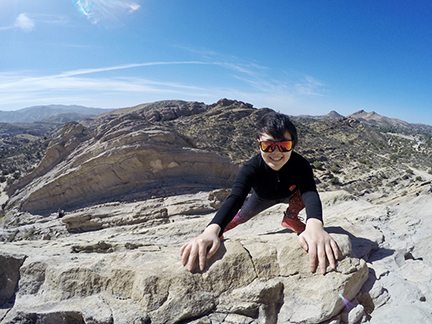 What we’ll do: Vasquez Rocks is one of the most epic landscapes in Southern California. You've seen it filmed as the planet Vulcan in the STAR TREK tv series and 2009 movie. It has been featured in hundreds of films, tv shows and commercials. It is a geological wonder with mammoth fins of 25-million-year-old sandstone jutting out of the ground at a 50 degree angle. 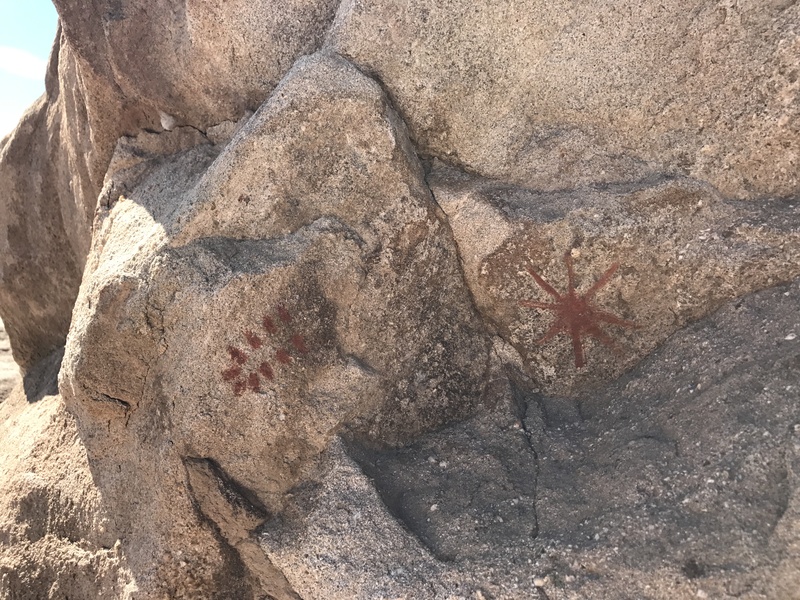 Your guided tour of Vasquez Rocks will include a full host of movie history, natural history, Old West history, and living wildlife. The 2600-mile Pacific Crest Trail from Mexico to Canada passes through Vasquez Rocks and you will hike that too! Lunch, water and snacks will be provided. 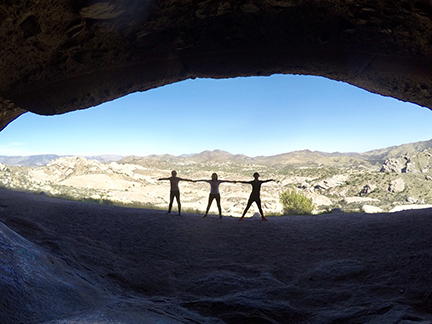 TWO PERSON MINIMUM: $60 ($30/person) ​INCLUDES: Guided hike, lunch, snacks, water. "WILD ADVENTURER" Members of Wild Women Hiking: $25/Person - NO TWO-PERSON MINIMUM ​INCLUDES: Guided hike, lunch, snacks, water. Contact Angeline@wildwomenhiking.com to book your date Important Information: Email Angeline trailblazer@hiddentreasuretrex.com to book your date. Meet at Visitor Center. Prepare to hike 5+ athletic miles on uneven terrain. Bring sun protection. MUST WEAR ATHLETIC SHOES to participate. Bring backpack. Must sign Liability Waiver to be provided.